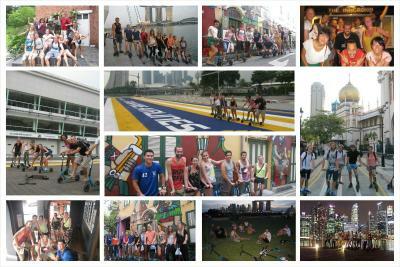 THE SCOOT TOUR! It's a must do and it was one of the highlights of my trip. The ambiance is really nice & the staff is very helpful. 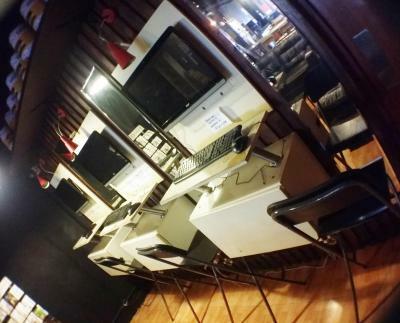 The location is very good, near the MRT and bus station. Beside this hostel have a 7eleven store. 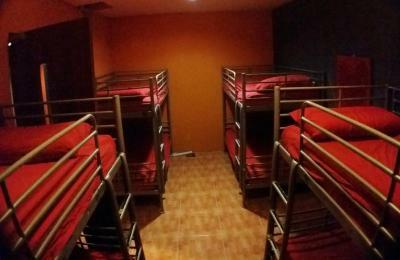 The staff is friendly, this hostel has a place for everyone can have breakfast, resting and chatting together, that is great for backpackers. 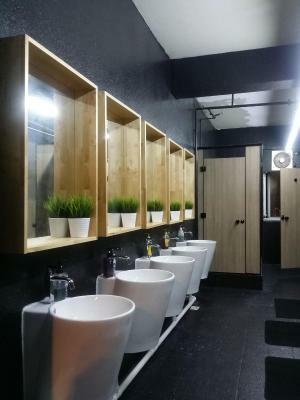 In general, the place is clean and in order, and accessible via the MRT Downtown line. The location of the place is instagram-able as the building around is colorful. The location is great, in the center of Little India. It's a small walk from 3 MRT stops that connect everything, and it's almost in the geographical center of the island, so it's easy to go around. Food and shops galore around you in this area. 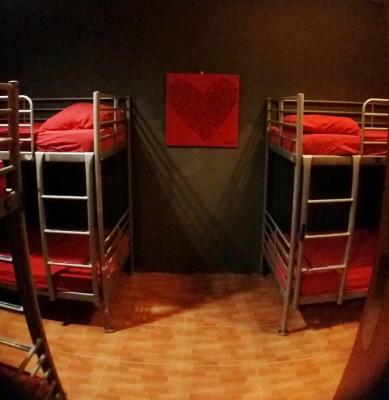 If you think about living costs in Singapore, this hostel offers you very cheap accommodation. The hostel is very accessible to MRT, 2 mins away from Rochor station (Blue Line) which is purely my mode of my transportation in roaming around the city. They also offer free breakfast (egg, toast bread, butter etc) which is really really good and I can say value for money. Bed is wide. Plenty of space to walk around. The place is maintained well. I saw a few dead roaches but never any live ones (so glad for that). Breakfast is boiled eggs, bread, butter, jam with the option to toast. Coffee and tea is aleays avaialable for free. Indian shops are are 1 block away. 7Eleven is next door. Bars next door. MRT & buses nearby. 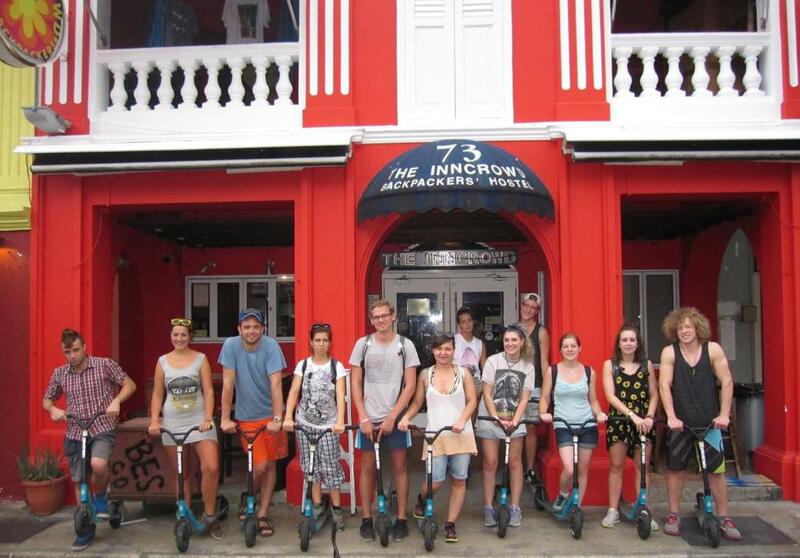 The InnCrowd Backpackers' Hostel, Singapore This rating is a reflection of how the property compares to the industry standard when it comes to price, facilities and services available. It's based on a self-evaluation by the property. Use this rating to help choose your stay! One of our best sellers in Singapore! 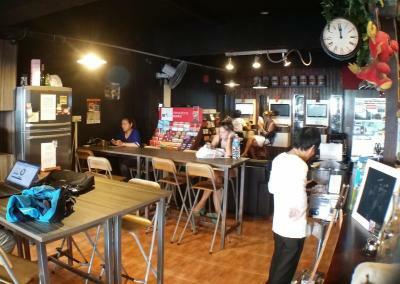 Located within an 11-minute walk of Mustafa Center, The InnCrowd Backpackers' Hostel, Singapore in Singapore provides a shared lounge, as well as free WiFi. 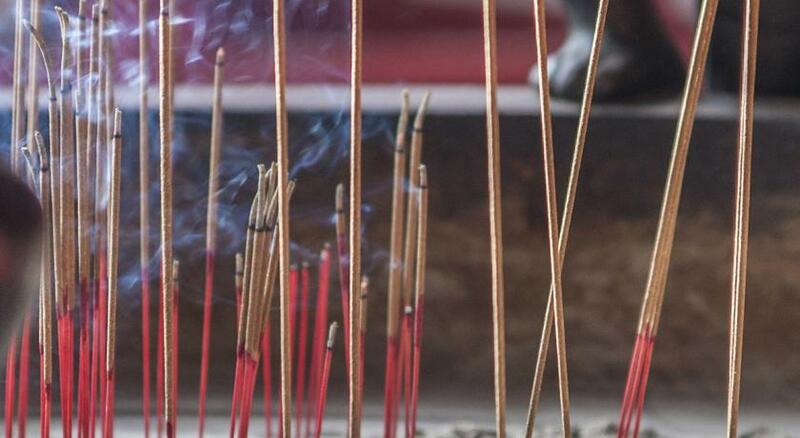 Popular points of interest nearby include Bugis Street, Singapore Art Museum and Raffles City. The property has a 24-hour front desk, a shared kitchen and buying tickets for guests. St Andrew's Cathedral is 1.4 miles from the hostel, while Suntec Singapore Convention & Exhibition Centre is 1.6 miles from the property. Little India is a great choice for travelers interested in tourist attractions, convenient public transportation and city walks. 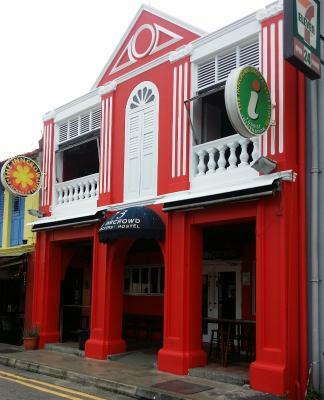 When would you like to stay at The InnCrowd Backpackers' Hostel, Singapore? Public parking is available at a location nearby (reservation is not needed) and costs SGD 8 per day. Area Info – This neighborhood is a great choice for travelers interested in tourist attractions, convenient public transportation and city walks – Check location Great location - show map Guests loved walking around the neighborhood! House Rules The InnCrowd Backpackers' Hostel, Singapore takes special requests – add in the next step! The InnCrowd Backpackers&#39; Hostel, Singapore accepts these cards and reserves the right to temporarily hold an amount prior to arrival. The InnCrowd Backpackers' Hostel, Singapore accepts these cards and reserves the right to temporarily hold an amount prior to arrival. The beds had red bedsheets which makes the cleanliness of them seem questionable, the beds were very very creaky, the rooms were dimly lit and the floor was dirty, the blankets were not provided so I had to ask for one (didn’t even know if they offered one) and it was quite inadequate at keeping warm so I used my scarf as well, the staff answered bare basic questions but provided no introduction to the city or the surrounds or the hostel itself, there was no ambience in the hostel - the first time I’ve stayed in a hostel where people weren’t meeting new people in the hostel. They offered breakfast, it was very inexpensive to stay there, the location was good. We stayed our first night here and in the morning another guest told us their friend was leaving due to bed bugs. We decided to check our beds and as soon as we lifted the mattress on one of them we saw one. We alerted reception who did not seem to care at all. They obviously knew this was a problem and now looking at reviews from over a year ago they haven't done anything about them. My boyfriend's ankles were covered in bites. Meant to stay 3 nights but left after the 1st. 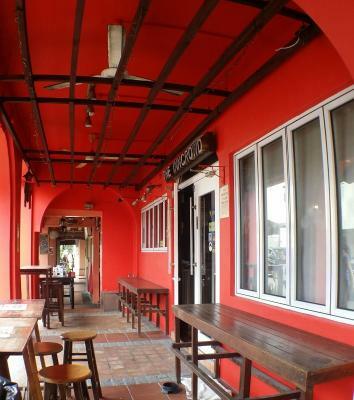 Good area in little India, next to MRT station. Staff were friendly until the bed bug situation and just brushed it off and didn't apologise. there's no separate bathroom between men n women. its quite tough for muslims. no kiblat direction provided. 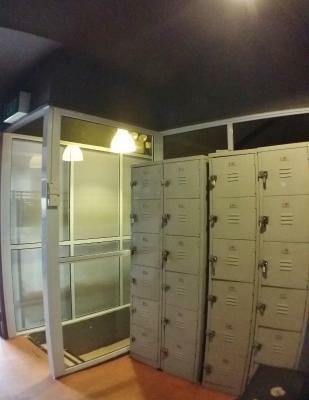 location best, near to mrt and also not too far with attractions place. save time. groceries just next door, easy n fast. there are muslim restaurant (mamak style). safety tip top. Big bed bug infestation in 3 of the dorms, and they have no procedure to clean them out. When I got there, I saw that they were removing a mattress from a bunk that was very dirty and had holes in it. I asked if the reason they were moving the bed was because of bed bugs, they said yes. Well, I asked to be moved before I even stayed in the hostel and the next night I got covered in bites. I know that bed bugs happen in hostels but here is the problem with this one: they put the mattress back, no cleaning of it, no spraying it, just put it back. They did it with mine as well, only washing the sheets. I got a refund and they washed all my stuff for free, but it still doesn’t change the fact that multiple people are being bitten, and they know about it and it’s normal to just hand you back your money and some antihistamine cream. Don’t stay here, no matter how cheap it is! 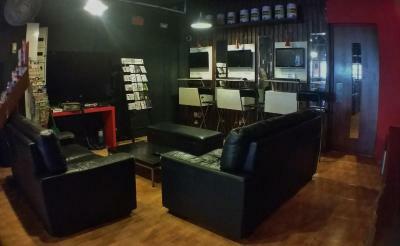 The location of this hostel is great and the atmosphere in the lobby is a great way to meet people. Staff were okay. Very clean hostel, with comfortable beds, good showers and toilets. The staff is very helpful. The breakfast is a buffet, perfect for the price. Very good location in the nice little India. The location is very strategic. The staffs are very friendly and helpful. It was so warm, and there wasnt a lot of toilets and showers compared to the rooms. The towels are terrible should invest in towels that dry not babies blankets, especially as you pay for the towel. The breaky's good as well as bed. Lounge and kitchen area was ideal for my needs. Very friendly staff. Good facilities. Came back to hostel for a break, room were super boiling hot. No air conditioning in a room on day time except lobby.